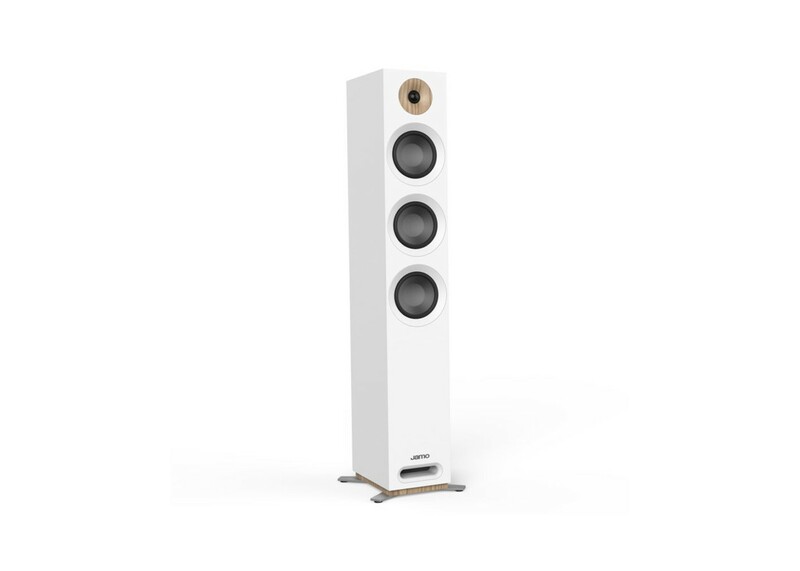 The S 809 is our Jamo Flagship Dolby Atmos tower speaker. Three impressive 127mm (5") Aluminized Polyfiber Woofers and a 25mm (1") Soft Dome Tweeter deliver an amazing acoustic performance. Each speaker includes a patent-pending connection points atop the cabinet for seamless integration of the S 8 ATM topper to deliver the overhead effect of Dolby Atmos. The 1” soft dome tweeter provides smooth, refined high frequencies, with three 5” aluminized polyfiber woofers for balanced, cinematic low end. The integrated WaveGuide focuses the high frequency sound for dynamic, true-to-life reproduction, while the front-firing tube port allows for better low frequency extension with placement flexibility. Elegant metal fasteners atop the cabinet provide a chic, modern industrial look, but also serve as a connection point for the S 8 ATM Dolby Atmos elevation speaker. This patent-pending design allows for all of the wire connections on the back of the floorstander, avoiding unsightly and messy speaker wire going all the way up to the Atmos module - for cinematic, completely immersive Dolby Atmossound while preserving the beautiful aesthetic of the Jamo Studio 8 Series.